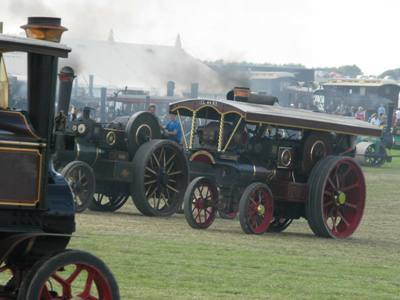 Some memories from last summer's visit to the Great Dorset Steam Fair. Steam galore! The working arena. View across the arena area. A glorious fog of coal smoke and steam. Whistling Billy racing steam car. For me the absolute star of the show. 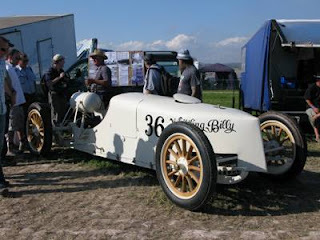 Tucked away in a far off corner was 'Whistling Billy', a White racing steam car. Built in 1905 it was the car to beat on short 'sprint' dirt track races in the States. 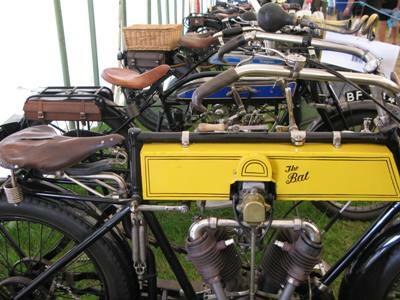 It took the world track record in 1905 with an average of about 74mph. From the days when racing was truly dangerous it was crashed later the same year with the driver, Webb Jay, seriously but not mortally injured. It was rebuilt and continued racing until the First World War. Whistling Billy's driver's eye view. 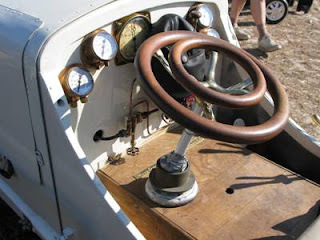 Steering wheel and dash of Whistling Billy. Looks like driving it at speed would be a truly terrifying experience, particularly on a loose dirt track with dust flying up from the wheels of fellow competitors. There's a while load more info on this fantastic car on the Steam Car Club of Great Britain's site. 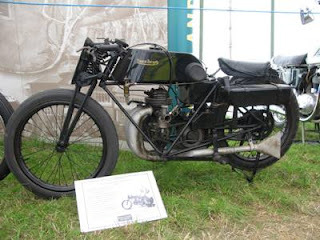 1927 ex-Tommy Meeten Brooklands Francis Barnett. 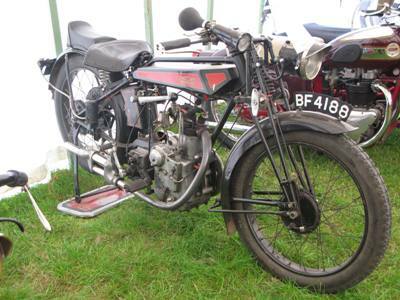 The Brooklands Museum Trust had a couple of bikes on display. Here's the ex-Tommy Meeten Francis Barnett. 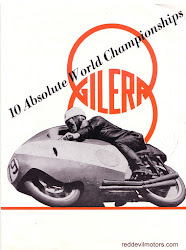 6 hours at 50mph on the outer circuit back in 1927. It was ridden around the arena, I expected it to be a bit of a beast but it pop popped around in a very well behaved manner. 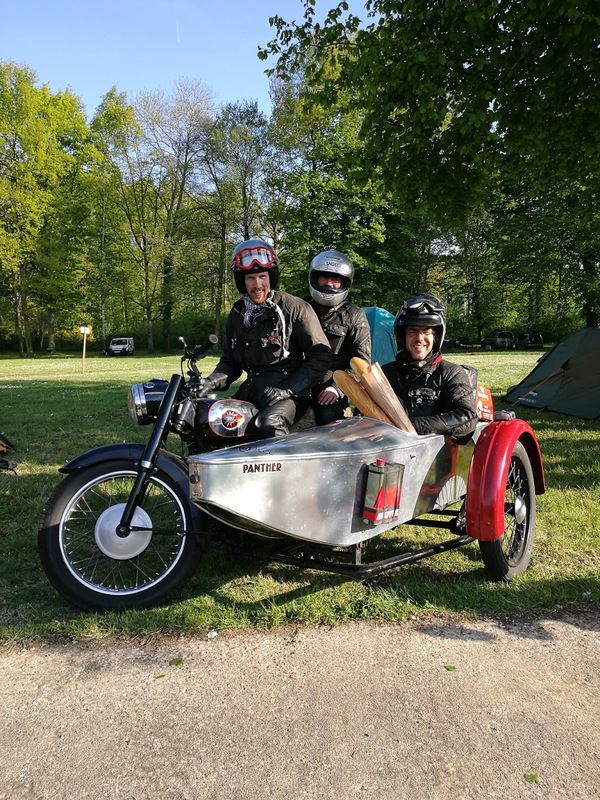 The rolling chassis is a 1937 Norton Model CJ 350 ohc with a fifties swinging arm conversion fitted and the motor is a Triumph Tiger 100. Apparently put together in 1955 by a chap in Southampton. Apparently the paint was provided by a mate who worked in a paint shop, he mixed together all the left overs and came up with enough grey green colour to paint the bike! 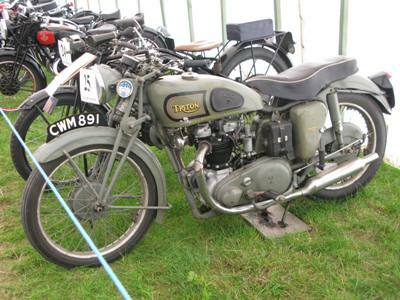 The owner wonders if it is the first Triton. 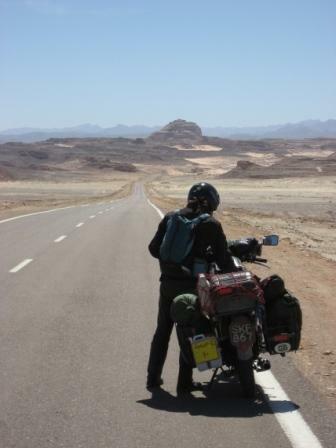 There's a possibility but whatever the casse it's a cracking bike. 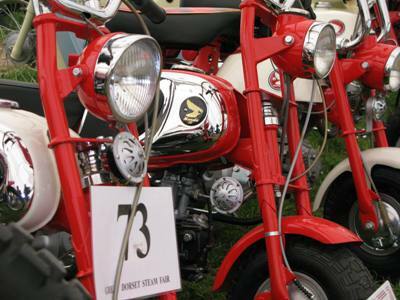 Here's something you don't see often, a troop of monkey bikes. Four of them in total, one for each member of the family exhibiting them. Two of the first model and two slightly later Gorillas. One of my favourites in the motorcycle tent was this 1912 Bat. Amongst the catalogue of unusual design features are a pair of external contracting rear brakes, the truly odd cantilever action saddle springs and foot brake levers made from twisted square section bar.